I cannot extrude both ways through a different detail. I am working on a cribbage board. The 3D detail is not too advanced but I am having an issue with the pegs. 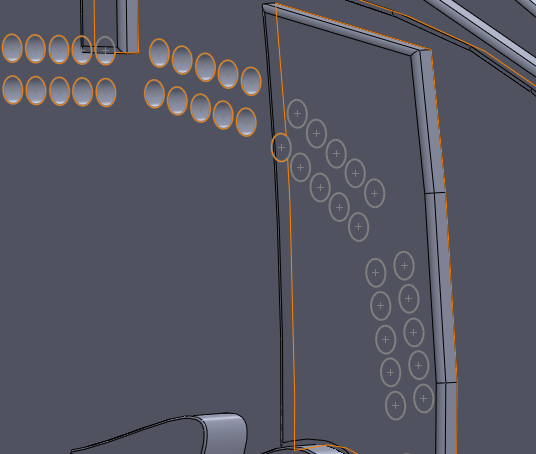 I can extrude down into the solid of the board, however I cannot cut the other way through some of the details. I have attached pictures explaining what I mean. Any help would be great! Re: I cannot extrude both ways through a different detail. 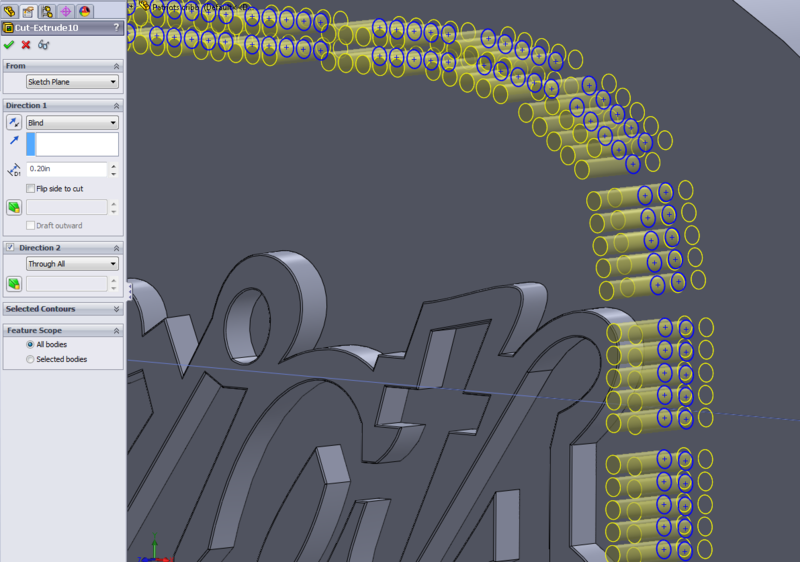 Just to check, this extruded cut is listed in the model tree after the parts you're trying to cut through? From your images it looks like the sketch plane is the face of the part. The sketch can cut in one direction through the part, sway from the font. In the opposite direction it gives a preview (of a through all condition) which makes the yellow stop at the bounding box of the part (the height of the font). However due to no material being removed from cutting in the direction towards the font, the feature cannot complete. I think you only need to cut in one direction for now until you possibly change things to position some material above this sketch's entities. If you post the file, everyone can see much better what's going on and give more accurate responses. Attached is the file, I believe it is a parent/child issue however I am not sure how to fix that. As someone else said, you can't have a cut feature cut through a feature that's below it in the tree. 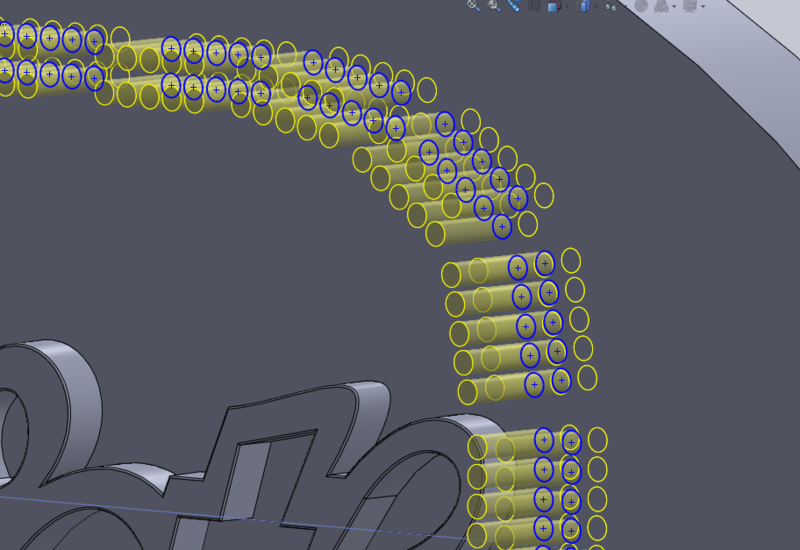 I'd suggest creating a second Cut-Extrude, using Sketch6 (the same one used for Cut-Extrude10). You could try to track down the parent/child issue that's preventing you from dragging Cut-Extrude10 to the bottom of the tree and use it to cut both ways, but it may be more trouble than it's worth. Thank everyone for their help! I look forward to addressing this community in the future! Do the cut after the Boss-Extrude 6 in the "Feature Manager Tree". In the Tree you do the cut before you put some detail over it.